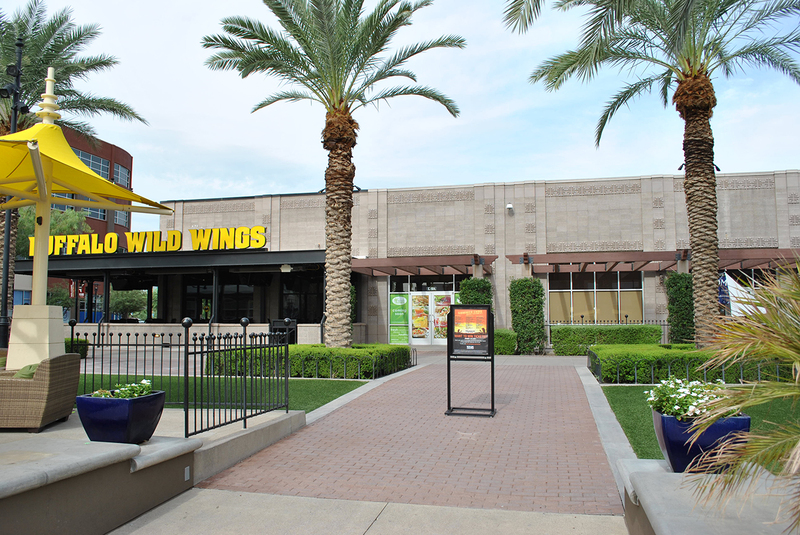 Super Bowl 2015 has created a push for retail development in and around Westgate City Center in Glendale, Arizona. 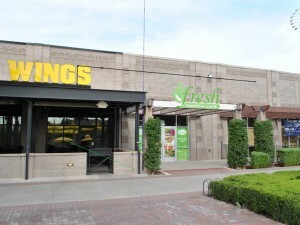 Westgate is anchored by a 2-story AMC Theatre and University of Phoenix Stadium. We are working with J.J. Girn , an entrepreneur and franchisor of Fresh Healthy Café a new dining experience moving into the Entertainment District at Westgate. During the design phase of this project I had decided to see Malifacent the movie with my kids. To kill time we hung out in the splash pad area. 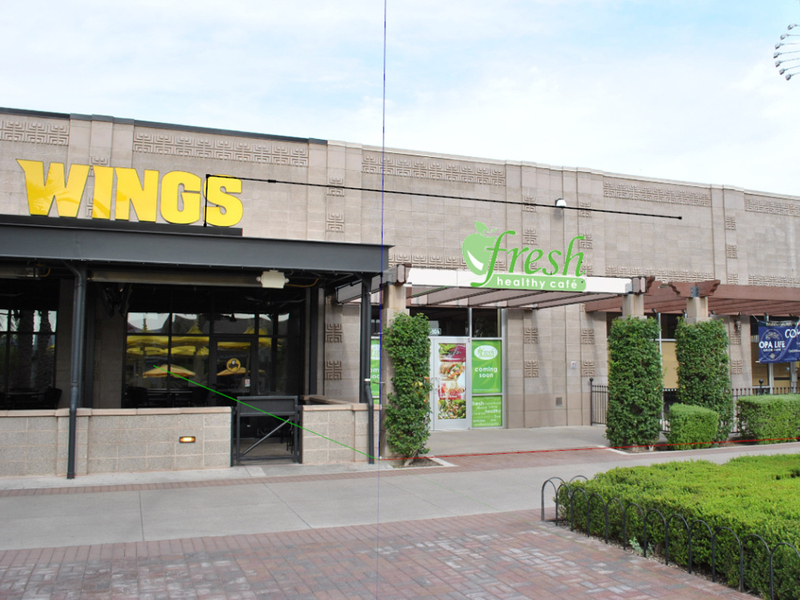 As I looked to find the empty suite where Fresh was going to be located I noticed how big and bold Buffalo Wings signage was. 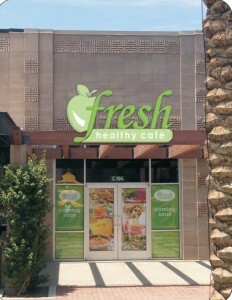 It occurred to me that we needed to make sure the signage on Fresh was just as bright and tall. 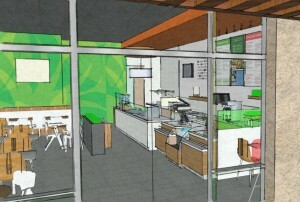 The rendering above is what the final design will look like. We thank Bootz and Duke Signage Company for helping us make this a reality. Most of the equipment to make the healthy wraps, smoothies and salads was established when we first came on board. 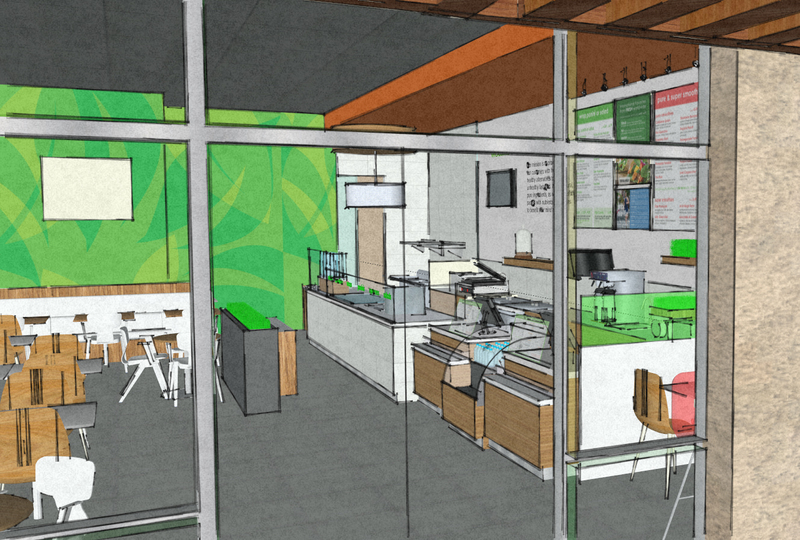 We took the concept from Fresh Healthy Cafe and then verified clearances, finalized finishes, light fixture layout and the design of the outdoor patio eating area. We satisfied all the code requirements and worked with the building management and City of Glendale. We even helped our client select the building contractor. We spoke with the candidates past clients to ensure this build out will be complete in time for the BIG GAME! The Malifacent movie was pretty cool. My favorite part of any Disney movie is the fly through of the castle located near the ocean. How could it get any better than that? Well the beginning of the movie just keeps zooming up until you can see the detail of the castle crenellations and the little villages beyond. It is a saga of a forest fairy earning her wings.